The Park Hyatt Hotel, located at 4 Avenue Road, is on the northwest corner of Bloor Street West and Avenue Road. Constructed between the years 1926 and 1929, it was originally named the “Queen’s Park Plaza Hotel.” Its architect was Stratford-born Hugh G. Holman, who designed it in the Art Deco style. In the 1920s, the classical styles of the previous century were giving way to buildings with setbacks that narrowed them in width as they rose to their summits, similar to the ziggurats of ancient Babylonia. The ground floor of the Queen’s Park Plaza Hotel and the second-floor above it formed a podium. The two floors of the podium were each the equal of two-storeys in height. Above the podium were ten more floors, which extended upward to the lower cornice. Above it were three more storeys, and perched at the top, on the eighteen floor, there was the rooftop garden and restaurant/bar. However, due to the Great Depression that descended in 1929, construction stopped before the hotel’s interior was finished. In 1935, Morrow Oxley of the firm Chapman and Oxley was hired to complete the building. It finally opened on July 11, 1936, when its name was changed to the Park Plaza Hotel. In order for it to be financially viable, it offered hotel rooms, residential apartments, and 30,000 square feet of office space. It was among the city’s most luxurious hotels and its apartments among the most prestigious. The apartments had been decorated by W. and J. Sloane. The facilities included three restaurants and a rooftop garden. After the opening, problems soon appeared. The hotel had been constructed above a meandering branch of Taddle Creek, which crossed Bloor Street and flowed south through Philosopher’s Walk. As a result, the structure began to sag slightly, causing the elevators to sometimes malfunction. The solution was to stabilize the foundations by permafreezing the ground. The rooftop restaurant and bar were originally for the exclusive use of the apartment owners, but in 1937, they were opened to the public. 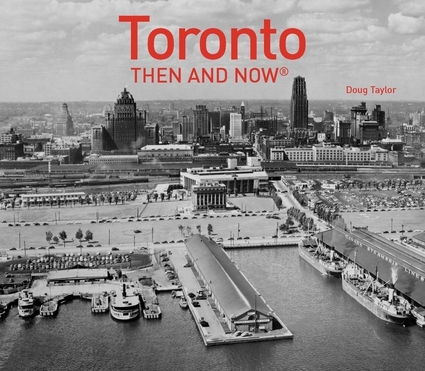 In that year, to the south, there was an unobstructed view of the lake and the Toronto Islands. Immediately below it was Varsity Stadium, where the Argonaut football games could be viewed. Also visible were the roof of the Royal Ontario Museum and green copper-topped roofs of the legislative buildings at Queen’s Park. In 1956, a 14-storey north tower was added, its architect being Page and Steel. Built in a modernist style, it was of brick, concrete, glass, and metal. The design was the work of Page and Steeles’ talented Peter Dickenson, who was as influential in the 1950s, as the famous Art Deco architects had been in the 1920s. The two towers were linked by a two-storey podium. Joe Gomes, a Portuguese immigrant, commenced working as a waiter in the hotel in 1959. Two years later, he was promoted to being a bartender at the rooftop bar. Since the Park Plaza was on the edge of the Yorkville District, for over five decades, he observed the ever-changing life of the area from behind the bar. Following the turmoil of the “hippy generation” in Yorkville in the 1960s, it slowly became one of the most prestigious districts in Toronto. The hotel’s bar and restaurants became a favourite of the city’s arts and literary community during the 1970s and 1980s. During these decades, the celebrities Joe Gomes chatted with while serving a drink included Duke Ellington, Pierre Trudeau, Lester B. Pearson (whose favourite was gin and tonic), Christopher Plummer, Burt Reynolds, Russell Crowe, Paul Anka, and John Wayne. The newspaper above has a photo of Joe Gomes on the front page of the Toronto Star. In 1999, the Hyatt chain bought the Park Plaza and changed its name to the Park Hyatt. At the beginning of the 21st century, the rental prices on Bloor Street, west of Yonge, were among the most expensive in Canada, and the Park Hyatt was in the heart of it. In 2014, the property was sold to Oxford Properties for $90 million. Extensive renovations were carried out to unify the architecture of the two properties, the designs the responsibility of KPMB architects, the restoration by ERA architects. The 2-storey podium was demolished. The structure that replaced it was larger, and was located further back from the street. In front of it was a crescent-shaped driveway to accommodate those who arrived by cars and limousines. The south tower then contained only apartments, and the north tower was a 220-room hotel. The north tower received a new external elevator core and a lobby on the second floor. Today, the hotel is one of the finest hotels in Toronto. Its rooftop bar is as well-loved today as it was during the years when it first opened. However, the view toward the south, in the distance, is now of the skyline of the financial district and the CN Tower. Immediately below the bar is the roof of the Crystal of the Royal Ontario Museum. The author is grateful for information from http://losttoronto2, www.the star.com, www.ontario-travel-secrets.com, urbantoronto.ca, and torontoist.com. The camera is pointed west on Bloor Street in April, 1929. The Park Plaza Hotel, not yet opened to the public, is on the northwest corner of the intersection of Bloor and Avenue Road. Toronto Archives, S 0071, item 6776. Gazing north on Queen’s Park toward Bloor Street c. 1933. In the foreground is the Royal Ontario Museum (ROM), the Park Plaza Hotel in the background. Toronto Archives, Fonds 1244. item 7360. Looking north on Queen’s Park toward Bloor Street on October 29, 1934. Trees are being removed to facilitate the widening of Queen’s Park. The Royal Ontario Museum is on the west side of the street, the Park Plaza Hotel in the background. Toronto Archives, S 0372, SS 0052, item 1713. The camera is pointed north on Queen’s Park toward Bloor Street in 1954. The Park Plaza Hotel dominates the scene. Travelling west on Bloor Street is a PCC streetcar. Toronto Public Library, r- 4855. The Park Hyatt in 2017, a section of the Crystal of the Royal Ontario Museum in the foreground. View of the south (1936) tower on Bloor Street, and the north (1959) tower to the north (right-hand side of photo) on Avenue Road. Windows on the south facade facing Bloor Street. The rooftop bar is visible at the summit. The rooftop bar, the windows facing south that overlook Queen’s Park, and in the distance, the city skyline and the CN Tower. The lobby for the apartments in the south tower. The luxurious Interior of the two-storey rebuilt podium that connects the two towers. Main entrance to the Park Hyatt from Avenue Road, the modern north tower in the background. The entrance on Bloor Street that at one time was the main entrance that gave access to the south tower (left-hand photo) and the Art Deco detailing directly above it (right). View looking north on Queen’s Park toward the magnificent Park Hyatt Hotel, the Royal Ontario Museum in the foreground on the left.